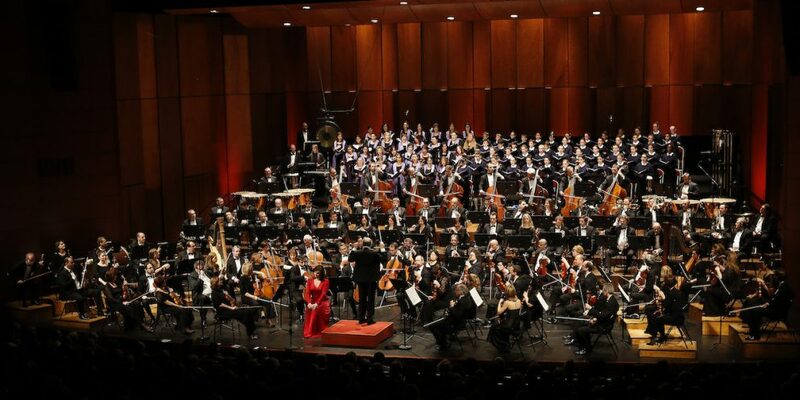 Founded in 2013, with the idea of making Aix-en-Provence the Salzburg of France, the Easter Festival has become a major classical music event on the European cultural scene. Held annually, it offers an outstanding programme and plays host to leading soloists and orchestras from across the globe, making it a truly unique musical experience. It was the brainchild of two men - the internationally renowned violinist Renaud Capuçon and Dominique Bluzet, director of the Grand Théâtre de Provence - and is sponsored by Michel Lucas, president of the Crédit Mutuel-CIC group, a founding partner of the event. As winter draws to a close, the Easter Festival takes over 3 prestigious locations: the Grand Théâtre de Provence, the Théâtre du Jeu de Paume and the Conservatoire Darius Milhaud. At Easter, Aix-en-Provence becomes the capital of classical music and welcomes the leading artists and orchestras: Renaud Capuçon, Teodor Currentzis, Dresden Staatskapelle, Lahav Shani and the Wiener Symphoniker, Arcadi Volodos… The Salzburg Mozartwoche and its artistic director, Roland Villazón, are the special guests for this seventh Easter festival. There are 27 concerts to enjoy over the 17 days of the festival. Almost 925 artists will be performing and memorable experiences are guaranteed.